Come winter, my skin turns into a flaky, dehydrated mess. The more products I use to add some moisture, the more it f*cks with the pH of my skin. I’m usually left with a blemish or two to show for the effort. That’s not even including the marks left by the ghosts of pimples past. Luckily, theres a hack for that. Citrus toner. Toner, if you havent been using it, is meant to normalize your pH balance and add an extra layer of moisture prior to lathering on your moisturizer. A citrus toner does that, and more, in just a few hours. The citrus will wake you up, lighten dark spots and do a number on your blemishes because of its Vitamin C content. Better yet? Its super easy to DIY. Step One:Take your tangerine (or any other citrus fruit) and peel it. Step Two:Pour boiling hot water over the peel and allow it to set overnight. Step Three:Strain out the peel the next morning and dab the remaining liquid onto your face with a cotton ball. You can also spritz it on. Step Four:Show off your hydrated, happy skin to the world. And all for the price of an tangerine. Score. 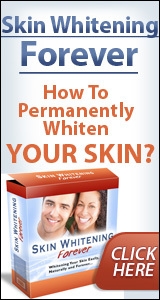 Next articleVitamin C Skin Lightening – New Skin Whitening Procedure!